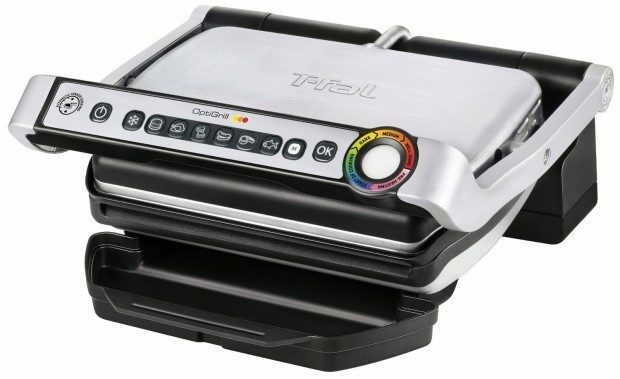 Head over to Amazon and get the T-fal OptiGrill Stainless Steel Indoor Electric Grill with Removable and Dishwasher Safe Plates for just $99.99, down from $249.99! Plus, it will ship for FREE! When you don’t put food on or put it on the grill before the pre-heating is done then the grill goes into Manual mode since it is not fully pre-heated. To prevent this always keep the lid closed, turn on the machine, select the desired program then press okay. The light will flash purple as the grill pre-heats. Keep the lid closed during this time. Once the light goes solid purple and beeps you can then add the food.